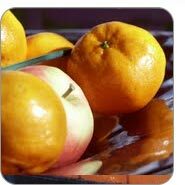 wow what a great webinar we had the other day... had an apple theme but apples and oranges are often compared (you had to be there!). if you missed it you needn't worry because with all things interweb its now available in a range of formats for you... which are all listed below..
the webinar was part of Energise Enterprise Small Biz Festival and looked at how to make your website better, brighter and faster, we investigated why and how social media can help. Main message was take control of your profile and personality online, you can't outsource it effectively, and express yourself... take the time to inspire yourself and revisit the passion that you had for your business when you first set-up... you can subscribe to these posts in the form on your right.. we post irregularly about stuff we love... you could love it too. Go Blog Yourself on Slideshare - http://bit.ly/diuGVD. One Response to "Pimp My Site"